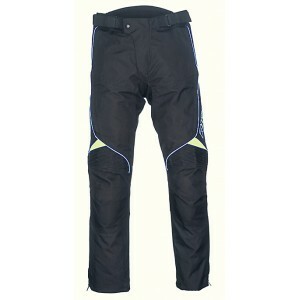 Textile motorcycle trousers with mesh panels for optimum airflow. The Richa Air Vent trousers also h..
Richa Aqua Motorcycle Boots - Black ..
- Full leather outer - Waterproof - Elasticated wrist - Popper & stud fastener - Doub..
As the South West's Richa stockist we are able to supply any item from the Richa range and if you ca..
Ladies textile motorcycle trousers with CE approved armour, a removable lining & a 100% waterpro.. 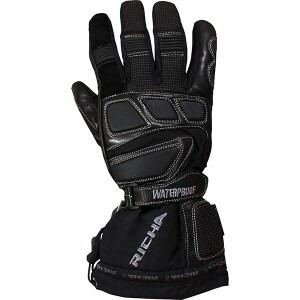 Textile & leather combination waterproof winter glove from Richa. - Quality leat..
A short cuff, custom style glove made from top quality leather. - Moulded, leather c.. Stylish & elegant ladies textile motorcycle jacket. - 100% waterproof - CE app.. 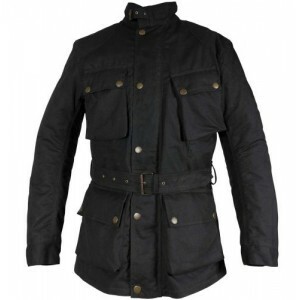 Stylish & elegant ladies textile motorcycle jacket. - 100% waterproof ..
All the benefits of a protective motorcycle garment without looking out of place off the bike. If yo..
All the benefits of a protective motorcycle garment without looking out of place off the b..